After uncovering an ancient mystery, Lara must explore the most treacherous and remote regions of Siberia to find the secret of immortality before a ruthless organization known as Trinity. 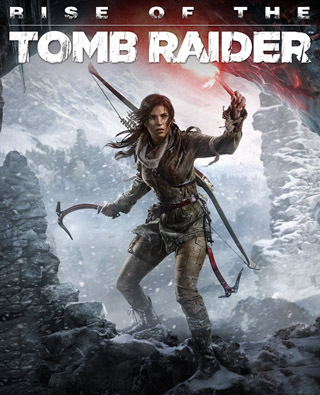 Lara must use her wits and survival skills, form new alliances, and ultimately embrace her destiny as the Tomb Raider. Experience high-octane action moments, conquer beautifully hostile environments, engage in brutal guerilla combat, and explore awe-inspiring deadly tombs in the evolution of survival action. In Rise of the Tomb Raider, Lara becomes more than a survivor as she embarks on her first Tomb Raiding expedition. Woman vs. Wild – Lara battles with not only enemies from around the world, but the world itself. Hunt animals to craft weapons and scavenge for rare resources in densely populated ecosystems. You’ll encounter beautifully hostile environments, full of treacherous conditions and unstable landscapes that will require Lara to push her limits to the very edge. Return to Tomb Raiding – Explore huge, awe-inspiring ancient spaces littered with deadly traps, solve dramatic environmental puzzles, and decipher ancient texts to reveal crypts as you take on a world filled with secrets to discover.